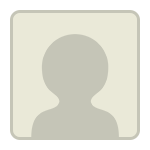 Andy, I am on R2 waitlist as well and didn't see any status change from "Waitlist". I talked to someone who was waitlisted last year and then got in. He never saw status change as well until the decision date. Goodluck! I interviewed this week. I got a business card, with the persons name and actual email address. I heard others getting generic "EWMBA" business cards. My interview went well. The flow was great. It was very conversational. They asked me multiple questions all in one, which was different. 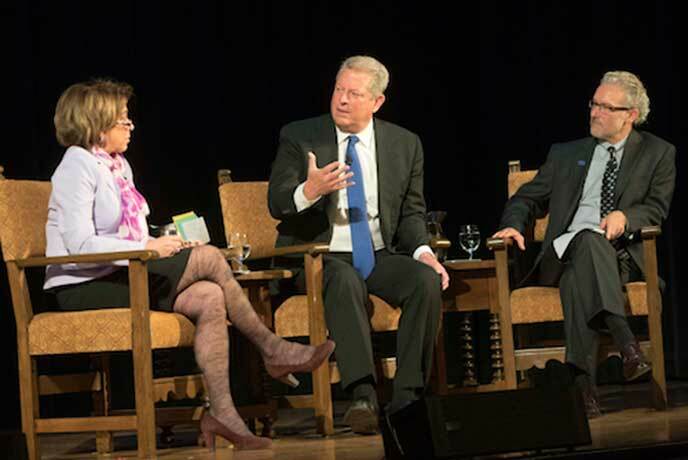 Al Gore came to the Berkeley-Haas campus with a message of optimism that the climate change challenge would be met—tempered by an observation that "Democracy has been hacked" and that a breakdown in effective governance could be an obstacle to achieving that aim. The Nobel Peace Prize winner and former VP of the United States addressed a capacity crowd of Berkeley MBA students and other Haas community members in a fireside chat with Professor Laura Tyson, director of the Haas School's Institute for Business and Social Impact, and Dean Rich Lyons. During the impassioned conversation, part of the Haas School's Dean’s Speaker Series, Gore highlighted the importance of accounting for every system that supports humanity by recognizing, for example, the value in natural resources and quality of life and not just things you can buy. He encouraged students to challenge policymakers and bring innovative ideas to companies that support sustainable practices. “Mother Nature,” said Gore, “is telling us that we have to change.” Yet, despite the obstacles, “We are going to solve the climate crisis." We invite you to access insights from Al Gore, just one of the leaders to address Berkeley MBA audiences. Hello! I submitted my application in round 4 and the status still says 'file under review'. Has anyone started receiving calls for the interview? I'm a R2 waitlist. Wrote the gmat again yesterday to improve my score and went from a 680 to 690. I'm ok with the score considering I was swamped at work the past month, but disappointed I couldn't crack that magical 700. Still, my quant went from a 46 to 49, and IR from 5 to 8, so at the least, I didn't hurt my chances. Hoping for a positive outcome on May 29th! Hey! I applied Round 4, got an interview invite on 5/5, and went to Berkeley for the interview on 5/12. Best of luck! How does the evaluation work for R3 vs R4 candidates ? Are they evaluated together ? Or do they evaluate R3 first and then consider R4 ? I was just wondering how do the admissions people look at the waitlist condidates. Are the applications opened towards the end of round cycle or are the waitlist applications re-opened and compared in conjunction with other current applicants? Anybody on waitlist got a re-interview invite or any other update on their status? I'm on the R1 waitlist and went to the 2nd interview. Basically they just wanted to clarify some details about my background, jobs, etc, and they put me on the waitlist again in the 2nd round. I think they will gather all people and compare us with the applicants from the 3rd and 4th rounds. Business schools usually need a balance in the class and have to make sure the students are very diversified. If they reach to a certain amount of students from the similar background, they will dump the rest. Sometimes if a person cannot get in, it doesn't mean he/she is not very qualified but may be because some other candidates from the similar background are better for contributing to the class. So I think it really depends on who you are competing with in the similar pool, and besides there is nothing we can do. But if you have anything you want to update the admissions committee, you can give it a try and let them know where you've improved recently. Best luck!! Quick question: Was your 2nd interview towards the end of round 2 result deadline ? Nope. They put me on the waitlist and I accepted the spot the same day. They called me the next day right away. They don't give 2nd interviews to everyone. I think some information of my background was not very clear so they wanted to know more about me. It doesn't mean anything even if they don't ask you for the 2nd interview. If they don't want you, they can reject you right away but won't put you on the waitlist. So don't worry about it too much. But if you have any info like a promotion or added responsibilities, just email them and let them know. If not, you are all set and wish yourself best luck. Trust me, even if we cannot make it by the end, it doesn't mean all the accepted students are smarter than we are. Going to a business school is just a way for people to get what they want but doesn't guarantee success. So be happy and trust yourself.. hehe..
For those of you (like myself), who do not have met the quantitative requirements and who are hoping to get in this year, have you any thoughts on completing the requirement? Anyone who has completed the requirement have any advice? Take the Math Waiver Exam. It's pretty easy and it only focuses on linear functions, interest formulas and basic derivatives. I took it a few weeks ago and passed. All you need is a 60% or higher for passing. Does that mean I clear the quantitative requirement on account of my college curriculum? I have applied for R3 and am awaiting for results by May 29. Would I be knowing the requirement fulfillment only by then? I will PM you this evening.... I have more questions and my math is shaky. Thanks. I interviewed April 15th. I hope you hear from them soon! I interviewed April 24th. Good luck to you USCHopeful2015, hope you hear back fomr Adcom soon with an interview invite.